Did you see that drone crash? Savage. This is a scary video from Mosul where a drone is spotted and shots are fired. The drone proceeds to follow the film crew around Mosul. Check out the video on Facebook. The DJI MG-1S Agricultural Drone looks like it could provide a real money saving benefit for farmers. Another week, another crazy drone story. This time we are in Bellevue Washington. This (edited) video shows a woman throwing objects at the drone. The plot was clearly trying to annoy the lady. She gets pissed off once she exhausts her supply of cheap objects to throw at the drone. She disappears into the house and returns with a gun! She proceeds to point the gun at the drone and the plot flies away. 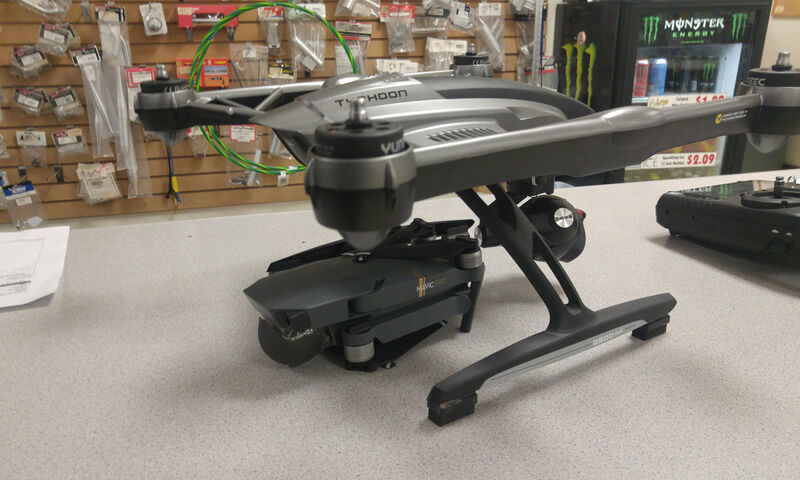 Our friends over at We Talk UAV (http://wetalkuav.com) have an article up about the Zerotech Hunter and its similarities with the DJI Mavic Pro.While the Hunter does fold up like the Mavic, I would not got as far as calling it a copy of the Mavic. Sure, the Hunter folds up and has folding props. The Mavic was not the first drone to do either. Currently, the Hunter does not have a 3 axis gimbal so it is not in direct competition to the Mavic. Check out the full article after the break. About 6 or 7 months ago, my neighbor got a drone. I don’t mind people having hobbies, but for some reason he insisted on flying like the biggest jerk possible. He would hover in front of other houses and windows, try to “race” cars going down the road, and worst of all he had a habit of flying his drone in my fenced back yard buzzing over my dog, diving low just over my dogs head before circling around to do it again. My dog isn’t small, he’s about 70lbs and a Malamute, but the drone terrified him, and I was worried what would happen if it hit him. Back with another local flyer, this time at the controls is Slowpoke FPV. His latest video is “a cold day in hell” which features flying around one of the local baseball fields. Welcome to Drone Savage where we talk everything drone related. From racing drones to DJI products to mini toy drones, we cover it all.